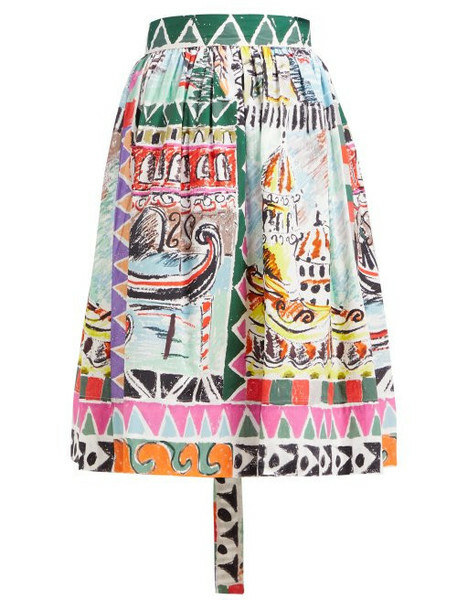 Prada - Prada's multicoloured Venice-print skirt is accented with a vibrant print inspired by scenes of the city's architecture and waterways. It's crafted in Italy from lightweight cotton poplin and fastens at the waist with feminine ties, then falls in soft pleats to a flared silhouette. Complete a compelling edit with a crisp asymmetric shirt and kitten heels.